The scaling properties of human EEG have so far been analyzed predominantly in the framework of detrended fluctuation analysis (DFA). In particular, these studies suggested the existence of power-law correlations in EEG. In DFA, EEG time series are tacitly assumed to be made up of fluctuations, whose scaling behavior reflects neurophysiologically important information and polynomial trends. Even though these trends are physiologically irrelevant, they must be eliminated (detrended) to reliably estimate such measures as Hurst exponent or fractal dimension. Here, we employ the diffusion entropy method to study the scaling behavior of EEG. Unlike DFA, this method does not rely on the assumption of trends superposed on EEG fluctuations. 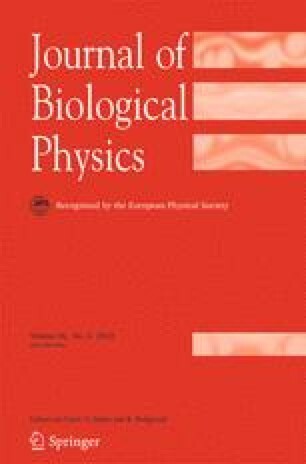 We find that the growth of diffusion entropy of EEG increments of awake subjects with closed eyes is arrested only after approximately 0.5 s. We demonstrate that the salient features of diffusion entropy dynamics of EEG, such as the existence of short-term scaling, asymptotic saturation, and alpha wave modulation, may be faithfully reproduced using a dissipative, first-order, stochastic differential equation—an extension of the Langevin equation. The structure of such a model is utterly different from the “noise+trend” paradigm of DFA. Consequently, we argue that the existence of scaling properties for EEG dynamics is an open question that necessitates further studies.